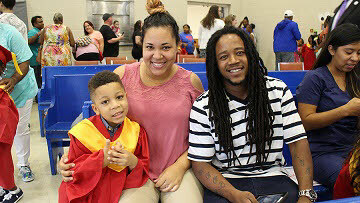 More than 100 parents, family members, and friends, including Chattanooga Mayor Andy Berke and Ariel Ford, director of the City of Chattanooga’s Office of Early Learning, filled the gymnasium at Chambliss Center for Children Tuesday for the Early Childhood Education Center’s Pre-K Graduation. 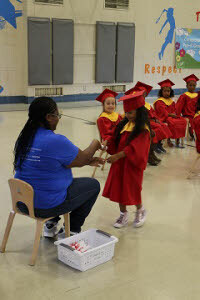 "Every year Chambliss Center for Children’s Pre-K teachers coordinate an amazing graduation program to showcase all the children have learned while attending the center. 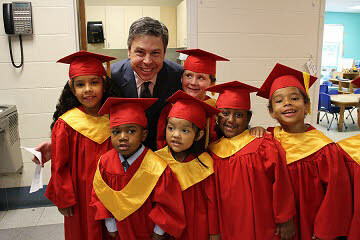 Dressed in red and yellow caps and gowns, the children marched in and led the Pledge of Allegiance. 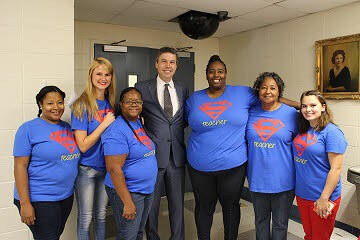 Chattanooga Mayor Andy Berke followed by welcoming parents and family members, and by stressing how important it is for all children to have access to high quality Early Childhood Education, and praising the work that Chambliss Center for Children does for children and families in this community. The children proceeded to sing songs, showing off their skills with letters, numbers and colors, and finally entertained attendees with a closing song and dance," officials said. For more information about Chambliss Center for Children, call 423-698-2456.